The Stafford AnyWare Center is strategically placed midway between Washington DC and Richmond. This quality building is located outside the Marine Corps Base and offers easy access to US Route 1 and I-95 and three international airports. 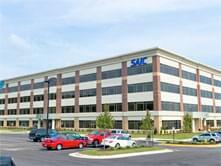 The business center is a 25 minute drive to Washington DC, the Pentagon and Fort Belvoir. Learning Tree's AnyWare Centers provide a distraction-free environment, dual screen computers and high-speed internet. Parking is free within the office complex. Start out going northwest on Richard E Byrd Terminal Dr. Turn slight right onto S Airport Dr. Turn right onto Russell Rd. Merge onto Jefferson Davis Hwy / US-1 S.